Deans Court is an elegant historic house set in ancient gardens, a stone’s throw from the centre of Wimborne Minster in Dorset. Run by William and Ali Hanham, Deans Court has been in William’s family for nearly 500 years. Today the estate hosts a venue for weddings and events, a vintage lifestyle shop, health-food café and holiday cottages & houses. Pop-up social suppers, open-air theatres, courses and workshops, tours, beekeeping, fly-fishing, rearing sheep and growing organic vegetables in a walled kitchen garden – are just some of the other activities taking place here – all of them under the ethos of living sustainably within a heritage environment in the 21st century. 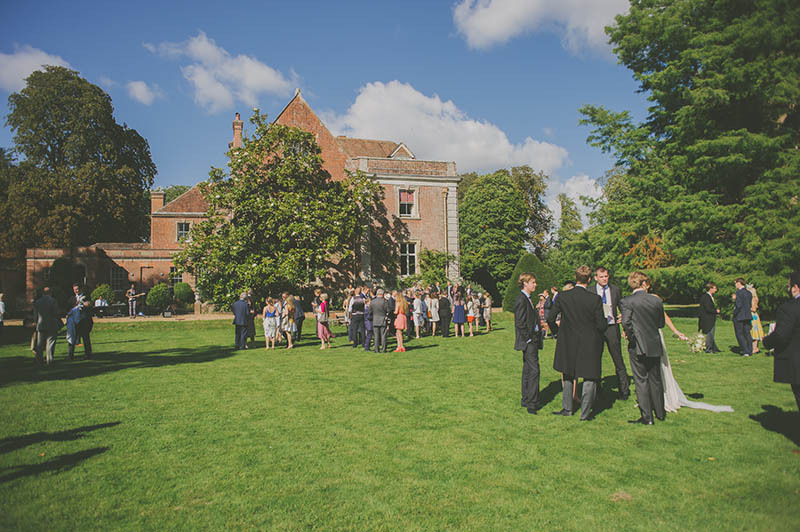 Weddings at Deans Court are all about a stunning venue where they take away the stress. They want you to relax, have fun and enjoy this memorable day celebrating your new lives together. 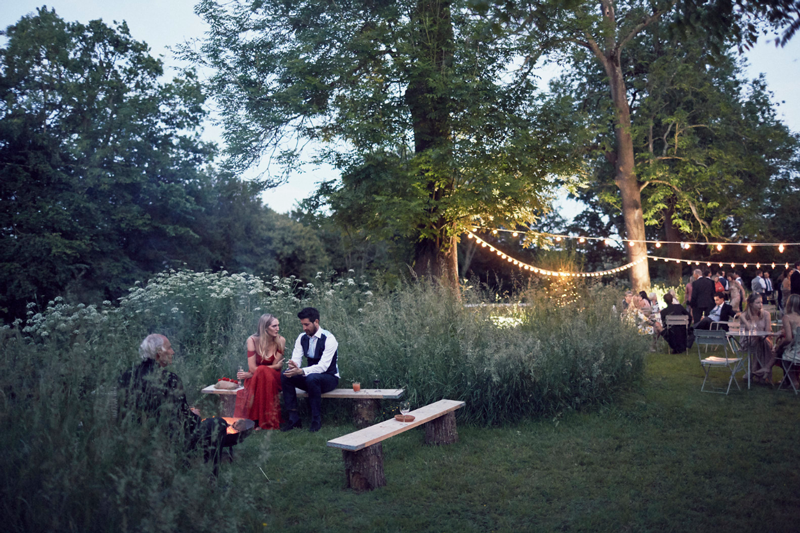 A simple venue hire fee includes everything you need for a wedding; exclusive use of the grounds and marquee through to festoon lighting and an evening fire pits. 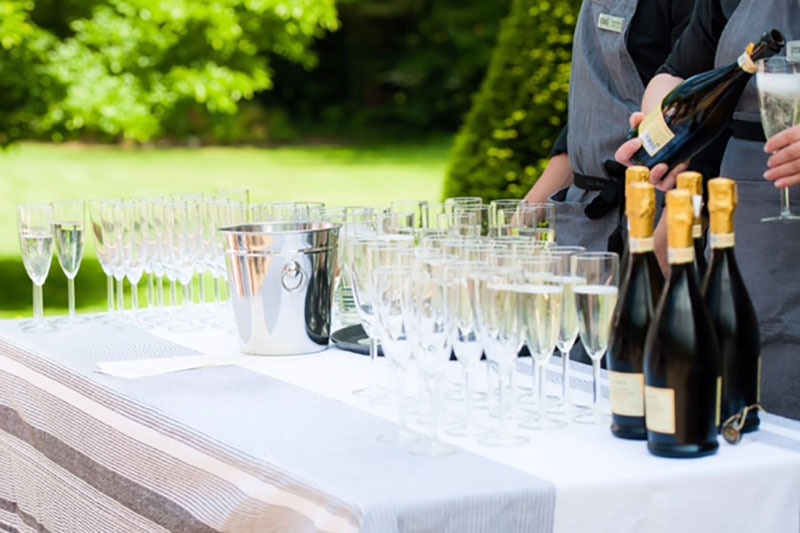 Their Events Team will take care of the details, and work with your suppliers, so by the time your big day arrives, everything will run smoothly. They have two charming estate cottages a minute’s walk from the marquee, with their own garden and stunning views across the stour valley. Sleeping up to 12 people including 2 in a rustic Shepherd’s Hut in the garden. Just outside the Deans Court Lane entrance (again, a minute’s walk from the marquee) is their Gate House, a convenient, self-catering house well set up for an entertaining weekend – with great dining facilities, large garden, media room and an outdoor hot tub. To celebrate their newly acquired wedding license, Deans Court are offering to pay the registrars fee for any couple that legally marries at Deans Court during their 2019 season! Deans Court still have Saturday dates available in 2019, simply get in touch with the team to chat about your big day! Deans Court is the most idyllic setting for a romantic, personal wedding. All day our guests commented about the hidden gem of Deans Court. The marquee by the lake is the perfect size in a beautiful setting. The large grounds means people can play games and relax at their leisure or be inside partying, eating and drinking. There’s options for everyone. The food was divine and all staff were extremely attentive and happy throughout the day; no job was ever too big or small. Jonathan, the events manager, was extremely happy to help at all times in the lead up for the day, answering all queries promptly and ensuring we had just what we wanted for an amazing day. Steven and Katherine, who ran the big day for us, were fabulous. Their attention to detail when setting up and their willingness to please was much appreciated. We had the best wedding ever and I’m sure all bride and grooms say this but many of our guests said just the same so thank you to everyone at Deans Court! Deans Court is an absolutely fantastic venue. Not only is it stunning the staff are so accommodating. Jonathan is meticulous in his planning, making sure you stay on track and on the help/setting up Steve and Katherine are incredible. We are so thankful we choose Deans Court for our special day. Just wanted to say thanks again, it was perfect day for us and you were very helpful, professional and organised in advance and followed it through on the day. The whole experience was smooth, and it felt like we were being looked after by people who genuinely cared and wanted to help make the day special for us. Jonathan really helped make it for us, and was really impressed by how on point everything was from him in advance. Steve and Kathy were amazing too (they run it for us in the evening). They couldn't do enough to help us, always having a laugh, working tirelessly but always getting involved in the fun. They really helped make the evening enjoyable for us and helped us along the way and reminded us to cut the cake etc! Had so many compliments about the venue, location, food and everything so couldn't be happier really. You guys do a fantastic job with a smile and you care which helps make the experience more special for people like us! We had Kelly from Deans Court do the flowers, and Flaming Peaches do the food, and had so many compliments about both. Both were recommended by the venue, and work there quite a bit so we'd definately say if you are doing a wedding here, speak with them. The food was sooooo good! The location / space is amazing, and perfect for a natural setting / out doors sort of feel. I would listen to Jonathan's advice on what weddings have done in the past, and go and see the space so you can see how you can put your personal touch on it. They have an amazing set up down there which can be customised to your own tastes. Deans Court was the perfect venue for us. 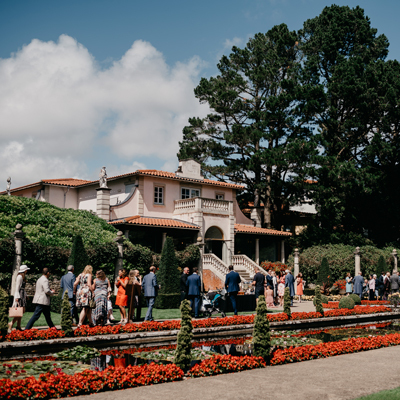 All our guests commented on the stunning surroundings which was shown at its best by the lovely weather. Jonathan and his team made everything run like clockwork. I particularly loved that at the end of the night all our family could walk up the small path to the cottages on site. The venue is made for weddings and I would highly recommend. From the moment we met Jonathan we knew we were in safe hands; he and his team are so professional, so patient and so efficient. Dealing with Jonathan is a dream; he responded to all our questions immediately and was extraordinarily flexible to accommodate all our pecadillos. He also suggested some wonderful ideas during the planning, and on the day, that made our wedding even more magical. 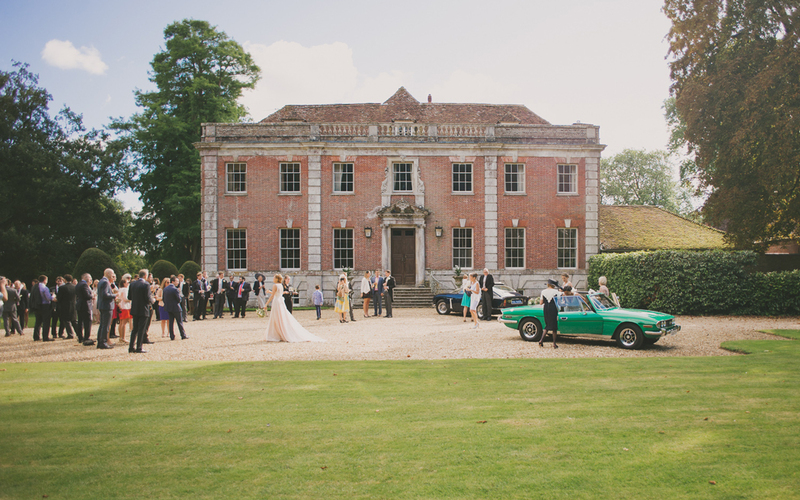 The venue is quite stunning; our guests couldn't believe what awaited them as they walked through the gate at the end of Deans Court Lane through to a view of the house. I could go on. It really was everything we could have hoped for and more. I would love to say that it was my husband who made my day but actually I think it was Jonathan!